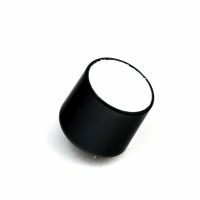 SST is delighted to announce their launch of market leading CO2 Sensors that integrate unique mid infra-red light source and detector technology into innovative optics and signal processing. The three product ranges are designed to fit into various types of applications in a range of markets and industries. 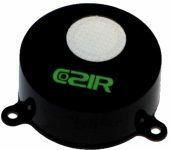 The CozIR® range of CO2 Sensors are designed to monitor CO2 in “breathable” ambient air up to 10,000ppm. Ideally suited for CO2 monitoring in buildings, offices or outdoors. The CozIR® range of CO2 sensors are typically consume 50 times less power than standard NDIR sensors on the market today. The ExplorIR® range of CO2 sensors’ combination of extremely low power consumption and instantaneous warm-up answers directly to the growing demand for sensors which can be integrated into battery or self-powered wireless systems, allowing economical real time monitoring of CO2 concentration levels up to 100% CO2. The SprintIR® range of CO2 sensors is designed for applications the require capture of rapidly changing CO2 concentrations and is suitable for measuring concentrations from 0-100% CO2. The CO2 sensors within this product range can take up to 20 readings per second making it the world’s fastest battery-powered NDIR CO2 sensor on the market today. The core technology is a good fit for a wide variety of applications, markets and industries. This includes air quality & HVAC, healthcare, horticulture & food processing, transportation, industrial safety, and aerospace industries.